Tricks 4 U: Make USB storage devices totally useless without your permission. Make USB storage devices totally useless without your permission. I am going to show you how you can make USB storage devices totally useless without your permission. To block all the storage device in your Windows, run registry editor by typing regedit in RUN command. Now at the right side double click on START. 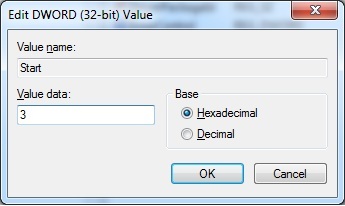 To block USB storage Medias, change the value data to 4. If you want to unblock USB storage Medias just navigate to the same location and change th value data to 3.